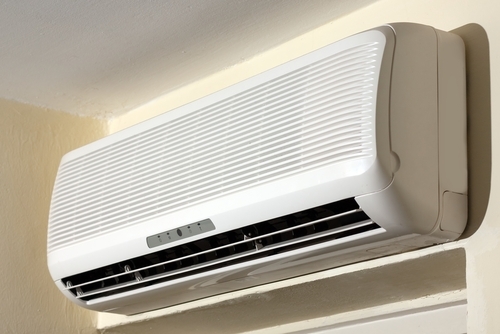 One of the electronic devices that is becoming overly important in many homes in Singapore is an air con. They tend to be helpful when they are regulating the level of heat in the house. Nevertheless, like any other electronic device, the air con will most likely have some faults. You may have an air conditioner that is leaking. This can be as a result of many things. Usually, if the drainage pipe is blocked by some dirt, it will not be able to drain out the water, which in turn will cause the system to start leaking. Also, it could be as a result of poor installation of the air con, especially when it is handled by a non-professional. The system can also start leaking if there is a refrigerant absence. Here are some of the way you can stop your air conditioner from leaking. One thing you should remember is that you must switch off the system when you are attempting these remedies. Suppose the filter of your AC is blocked, mostly due to the dirt piling up, it will mean that the air flow is restricted. For that reason, the temperature of the coil may drop, which will result to moisture in in the filter. The moisture will then condense on the coil and it will finally freeze, thereby, forming some ice flakes. The ice flakes will be blown out of the system, which will come out as a water leakage, dripping out of the system. To fix this, you will be needed to check if the filters are dirty and in case they are, you will be needed to clean them with a hosepipe or a shower head. Make sure that you have removed every dirt that has accumulated in the filter, then you can use an antiseptic spray to kill any possible bacteria and mold. You might want to check the aluminum coil that is mostly located behind the filters of the air con. Suppose the coil is covered with dry lint, you may vacuum it with the brush attachment of the vacuum. If the coil is extra dirty, a garden spray bottle and a strong grease can help to clean it. Use the grease to spray along the coil and allow it to stay for about 5 minutes, then rinse it with the spray bottle. This will help to enhance the air flow in the system and it will also get rid of any possible dirt in the system. Before cleaning the system, ensure that you have read the manufacturer’s instructions carefully. Normally, if the drain of the system is blocked, water will leak from the system via the air outlets. This will mostly flow on the front part of the air con. You will need to check if the plastic tray is overflowing. The plastic tray is basically meant to trap all the condensate that is given out when the system has been set to a cooling mode. The only thing to do here is to drain the water, in order to clear the drain and avoid further blockage. This will help to diagnose the insufficient refrigerants. Usually, suppose the air filters and the heat exchange are clear enough and air is flowing swiftly, then the system will be able to give out enough cool air in the room. Nevertheless, suppose there is a shortage of the refrigerant, the system will not cool the room swiftly and water will start leaking from the air con. To correct this, you will need to adjust the setting of the heat-pump. The heat-pump should be set to the lowest setting, then it should be left for some minutes. After that, you can check the coil for exchanging heat, which is mostly located under the filter. If it is covered with ice, then you will know that the system has a fault and it will need enough refrigerant to enhance the cooling process. Lack of proper installation is one of the challenges that causes the air con to leak. Basically, if you have a window air air con, you should install it in a slanting angle, with the rear being partially lower. Doing this will help to allow the water to drain easily to the drain that is at the back of the system. This is a step that will help to avoid any possible leaking. Generally, you must ensure that you understand the right and recommended way of installing an AC. When you have an outside temperature being lower than the inner temperature, the air con might start to leak. This is mostly when there is a humid climate. Suppose the outside temperature is lower than 15C, the system may be filled with ice at night. The ice will melt the next morning and it will start leaking out of the system. You can fix this by switching the system overnight, then switch it back on the following day. Also, you may set the system to Fan Only at night, which can avoid the leakage. Suppose warm air that is coming from the outside can get around the AC, the system will be surrounded by cooler air that is also dry. As the warm and cool air meets, condensation will take place. Suppose water is coming out of the system from the front area, you will need to check where the water is coming from. You can add a foam insulation to the system to prevent the warm air from getting through the system. One of the surest things to do in order to completely stop a leaking air con is to call a professional to fix the problem. The technician will be able to inspect the system and resolve where the leak is coming from. This will be easier since they will have the technical know how of how to diagnose and fix the fault with your system. You can easily fix a leaking air con, but relying on a professional technician can help to ensure that the system is fixed as expected and that it any possible accidents are avoided.